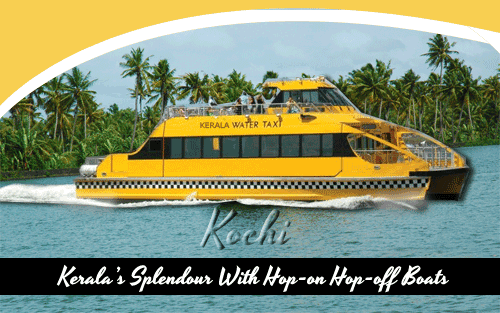 Kerala Government introduces hop-on hop-off boat service and water taxi service at Kochi and Muziris heritage site and is expected to start in August 2014. Initially there are plans to start with the three 25-seater AC boats for hop-on hop-off services at Kochi heritage site. These services will cover places like High Court Jetty, Marine Drive, Bolgatty Palace, Vypeen, Fort Kochi and Matancherry.